Sometimes I do interviews on this blog in order to reach out to writers and filmmakers I admire. This is certainly the case with Ed Brubaker, author of the award winning graphic novel series Criminal, as well as Incognito and the recent series Fatale. 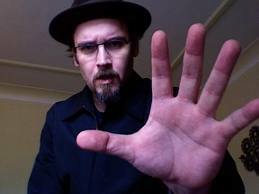 He's one of those comic book writers who, as the cliche goes, "transcends the genre" and get's reviewed in the New York times. 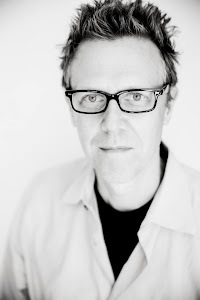 If you are a fan of hard-boiled crime fiction and loved the movie "Drive," you should click on the links above and check out his work. Hollywood has noticed him too, and much of his original work has been bought or optioned. 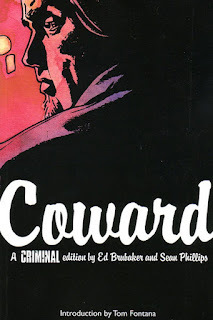 This is pretty common for popular novels and comics, but what interests me is that Ed himself has been hired to do the screenplay adaptation for one of his most outstanding stories Criminal: Coward. Readers of Genre Hacks know that I'm obsessed with finding ways for storytellers to get their original work up on the screen. Ed graciously agreed to answer some questions about the advantages and challenges of adapting ones own work from one medium to another. SH: When you started writing your Criminal series, did you think of the possibility of any of the stories eventually becoming films? EB: Coward actually started as a screenplay idea. But I could never find the time to work on it, and I kept having other ideas for the character and other ideas for crime stories, and really wanting to do a crime comic series. So I ended up taking the basic germ of it, and using that when we launched CRIMINAL at Icon. When I wrote it, finally, like most writers, I hoped someone might like it enough to make it into a movie. But I didn't write it as a "movie pitch on paper" like you often see in comics these past few years. I was building a world and exploring characters, and trying to make the best comic story, issue by issue, that I could. SH: In my own career I been frustrated by the industry's focus on "pre-branded" material (sequels, remakes, and adaptations.) Many writers are now writing original books or graphic novels rather than original spec scripts. I'm thinking of David Guggenheim (Safe House) made a deal to co-write his first novel, and Andrew Pyper, who just sold his unpublished book manuscript for The Demonologist to Universal. Would you recommend that writers with original story should try to prove their concepts in another medium in order to build a following and prove that the story works? EB: Boy, I couldn't say, really. I've been writing stories and comics for most of my life, so it's kind of all I know how to do. I always envied guys like Shane Black or Scott Frank, who got to write all these cool crime movies. I just always did comics, from when I was a kid, and always wrote fiction. When I was in my 20s, I wrote movie reviews and articles for a living, while writing and drawing my own comics on the side, because it was just something I had to do. It's odd that we've ended up in a place where comics, which is a fairly low-paying field (compared to film or tv writing) have become part of the larger pop culture in Hollywood, and I feel fortunate now that pretty much every studio or production company has a few executives that are into comics. But that's a real recent thing. I was coming down here 10 years ago, and that wasn't the case. Back then it would be someone's assistant, now it's the head of the company, sometimes. But I've always thought, write the story in whatever medium you want to see it in. I did a pilot for Fox a year or so ago, and that was just an original idea I had for a TV show, not a comic idea or a novel idea. I think that's important, to respect the audience and the material. If you do a book or a comic that's just a movie pitch, its unlikely you'll end up with say a Megan Abbott or Joe Hill novel, or a Neil Gaiman comic. You know what I mean? So I would say, if you have an idea, make sure it makes sense as a comic, or a novel, or a web-series, whatever. Don't just take your spec script idea and shove it into another medium. Novels and comics and movies have totally different languages, that make them all better at different things. EB: I don't know. I think I would've sold some of my books a few years earlier if I didn't want to write the adaptations. INCOGNITO sold fairly quickly, and there's been not even a hint of anyone wanting me involved in the scripting. Which on that one, I was fine with. But with Coward, and most of the Criminal books, I either didn't want them adapted, or wanted to be involved, so I insisted. But I still get the sense, outside of independent producers, that screenwriting is this club that novelists and comic writers have to break into, through force of will. It's certainly not something most producers or studios will suggest. They'd always rather have their own people or a writer they know, doing that adaptation. But you look at someone like Will Beall, who got his start as a cop writing a novel, then adapting that book - LA Rex - and then got hired on Castle, and now is a fairly hot screenwriter just a few years later. So it does happen. SH: Your characters are seedy, complex, realistic, violent and yet morally conflicted. They are not the kind of people we usually see in mainstream Hollywood movies. This will excite many movie fans, but does it make your producers and executives nervous? EB: Not so far. The biggest thing I kept running into early on, when having meetings with studios about Criminal, was that they weren't "high concept" enough. 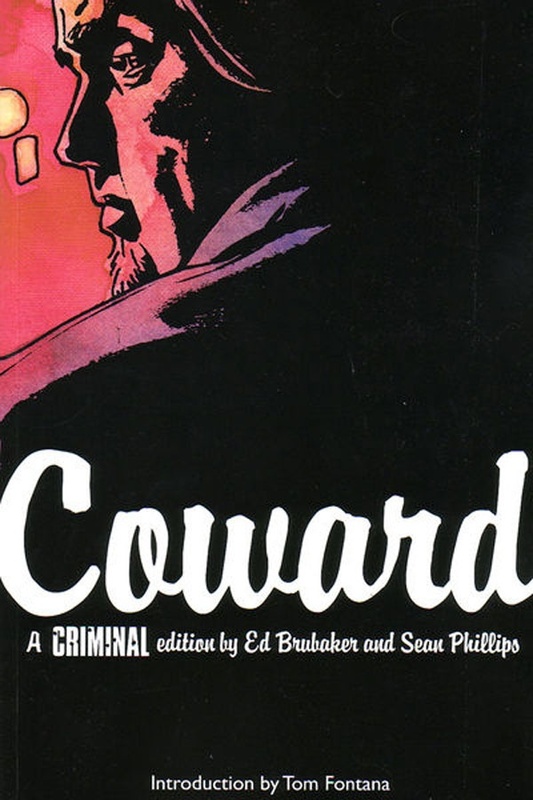 I remember when we had a bunch of actors and directors interested in Coward, originally, and we were taking it around, it was the same time the last Die Hard movie was a huge hit, and all the notes were - love the character and the world, but the heist isn't high concept enough, can it be about national intelligence or terrorism? And then a few years later, you see movies like The Town or Drive get turned into fairly faithful adaptations of their source material, and do huge business. Affleck isn't stealing the Declaration of Independence or stopping a bombing plot in the The Town. SH: Some of the best crime stories are showing up on cable TV, not in movies. In particular, I'm thinking of "The Wire" and "Breaking Bad." There seems to a greater opportunity to write three dimensional characters, long story arcs, and creatively inspired scenes of violence and sexuality. 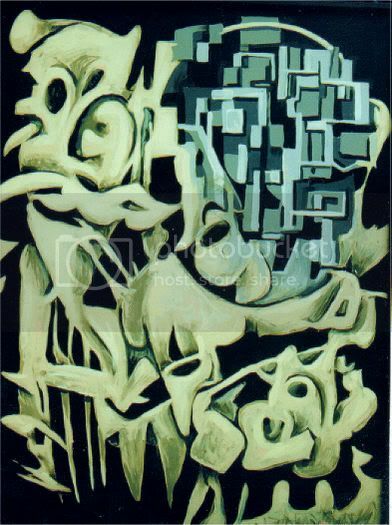 What do you think of trying to take your work and, like George R.R. Martin with Game of Thrones, creating a cable series? EB: I would love to, or to even create an original show for cable. With Criminal, I'm pretty far down the road on it as a films, but yeah, agreed. The Wire, Deadwood, Breaking Bad, and Mad Men, those are probably all among the best writing in the US in the past decade. If HBO or Showtime had come knocking for Criminal a year ago, I'd have happily said yes to a George RR Martin-style arrangement, where I got to be involved. SH: You are working from a medium, sequential art, that is very analogous to cinema and TV. You already have dialogue, action and structure worked out in your script for the comic/graphic novel. Your partner Sean Phillips, has already created an outstanding visualization. What is involved in writing the screenplay? Are you faithfully transcribing what you've already written/created or does a movie adaptation require you to make substantial changes to elements of story, characterization or dialogue? EB: That's the struggle I'm in, and why I'm not going to want to adapt all my own material, I think. With Coward, the basic structure of the book is very much, straight-forward three act structure. And the director is a huge fan of the book and the way the story is told. He actually wants to be more faithful than I do. The things that change are, in the comic, there's lots of first person narrative explaining the world and the characters and the backstory, even their internal thoughts. You don't want that in a movie, not so much. You can do it, certainly Fight Club did it beautifully, and others have, as well, but for a crime movie, today, not so much. And some of the locations change, of course, and there are characters that are in the book that aren't in the screenplay, and some that aren't in the book that are in the screenplay. And the main difference I've found from comics to screenplay with dialog is, in comics, you fake it. You try to write dialog that when read, seems in the readers head to feel realistic. But if it's said outloud, it isn't. Because you're limited by space in the panel. You don't want huge balloons or tons of them all over the page (although it works for my friend Brian Bendis) so you fake it. But with film, the dialog can be more real. It's still not actually real, because that would be really boring, but you can expand it, and find different rhythms and take more time with it. 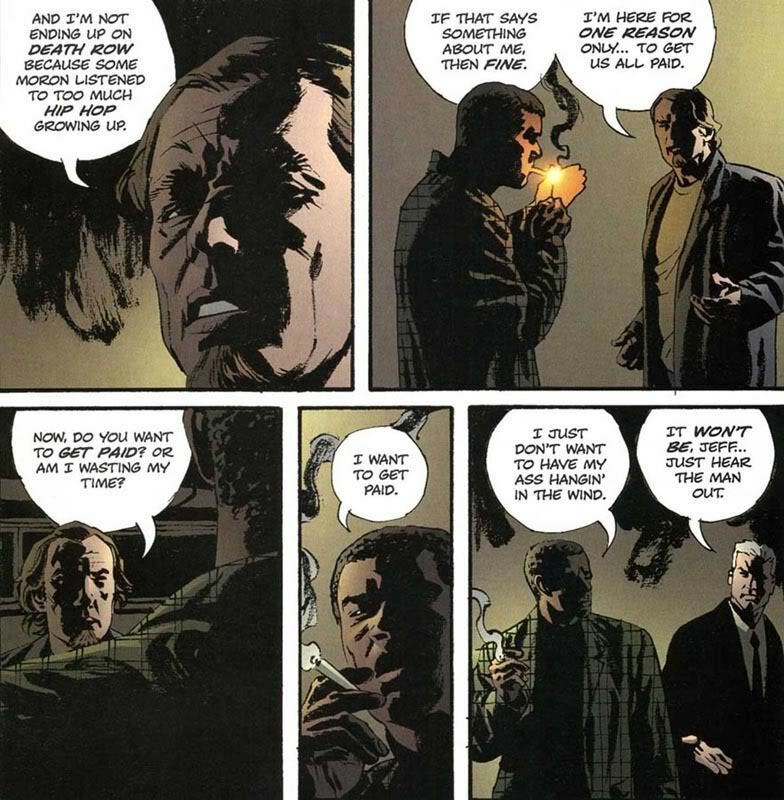 Something like In Bruges, what makes that film work, or Kiss Kiss Bang Bang (to name two of my favorites for dialog) would never work in comics. And that's why when in Watchmen, the film, when the actors said the dialog directly from the comic, it didn't sound right. Because those words were meant to be read, not spoken. SH: Do you worry that the elements that made Criminal: Coward so effective and popular could get lost in the translation to film? What have been the biggest struggles in moving from one medium to another? EB: The biggest struggle is second-guessing myself on every decision I made 6 years ago when I wrote it the first time. In some ways, I'd like to just pretend I never did the other version, and sometimes I'll be writing a scene, and then look at that part of the comic, and realize I did it better there. I think another screenwriter might not second-guess, and might just take the stuff directly from the book that works, because they aren't as close to the material. My feeling is, I just want it to be a good movie. I already wrote the story one time the exact way I wanted to. Now I want the director and producer to help me realize it as a film, the best way it can be. The struggle there, of course, is they both love the book, and want to be faithful. It'd probably be easier for me if they didn't. Because I worry I'll turn in a script that's TOO faithful, and someone will think I haven't spent months agonizing over every scene. That I just cut and pasted the comic script. And I also worry that part of what makes my comics what they are, my voice or whatever, comes in those narratives, which is what we're leaving out. 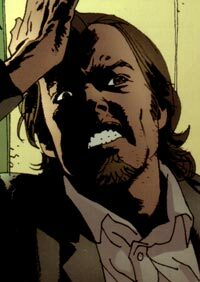 I know it's not true, because Gotham Central was my voice, on my issues, at least, and we didn't use narrative on that series at all, but you know, I fear it anyway. I never want to write something that doesn't sound like me. At least, not anymore. SH: It's extremely common for screenwriters to be rewritten by other screenwriters, especially as the project nears production and directors and stars are attached. Do you worry about your material getting changed in the development process? 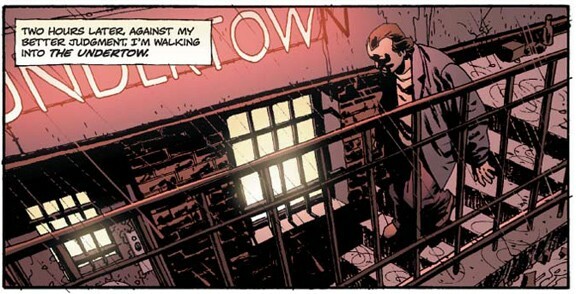 EB: I do, but I'm not totally opposed to that, depending on the circumstances or the writer. My first screenplay was something I did for David Goyer about ten years ago, and after three drafts, another writer stepped in to do a pass, and it was weird. The story and dialog were all still there, but there was some new stuff, and he amped up the action and tension. I then did another pass over his pass, to make it more mine, and I learned a lot in the process. But you know, once I'm done with my part, I know that's a possibility, at least, if not a likelihood. On Coward, I am involved heavily and working closely with the director and producer, so I haven't worried about it as much. I figure if they need to replace me, it'll be because I failed, not because they need Scott Frank to do a dialog polish. SH: While working on Conan The Barbarian I spent a lot of time re-reading old pulp stories by Robert E. Howard and H.P. Lovecraft. I'm also a fan of crime fiction, particularly Chandler and Thompson. Tell me about how these pulp authors have inspired your work. I grew up on that stuff. My dad was a big reader, and loved mysteries, and my uncle was a well-known screenwriter, John Paxton, who wrote The Wild One, and Murder My Sweet, and On The Beach, among others. So from a young age, I was always seeing old movies based on Chandler and Hammett books, and reading Conan comics. As I developed as a writer, I drew from my own life, as well as all those pulp influences, to create whatever the hell it is I do. My real lightbulb moment was reading the Lew Archer books, by Ross Macdonald, because he was clearly writing about himself, while writing crime stories, too. And with Lovecraft, that's just the best kind of horror, isn't it? The kind Hitchcock would've done, where the anticipation is what drives you nuts, not the actual monsters themselves. SH: Was the Criminal series inspired by any particular movies? Do you have any Film Noir favorites? What about current hard-boiled crime films like "Drive?" EB: Out of the Past is probably my favorite movie. In recent years, yeah, In Bruges, Kiss Kiss Bang Bang, Drive, Yellow Sea, Chaser, Memento. A lot of others I'm forgetting. 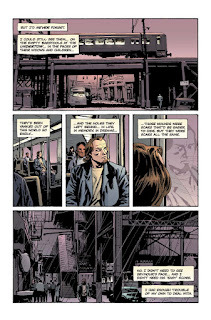 But Criminal wasn't inspired by anything in specific, just a desire to have a place to tell all kinds of crime stories in comics. I was jealous of what Frank Miller had done with Sin City, but wanted to do something realistic, not over the top, and just wanted to write character-driven stories. With each Criminal story, there's a bit of trying to do my twist on a genre trope of noir, but I don't put too much thought into that side of it, honestly. I just let the characters tell their stories. SH: One of the major reasons for Crimal: Coward's success was the outstanding art of Sean Phillips. Is he involved in the film? Do you think that graphic artists could be a benefit to film production by supplying storyboards and production illustration? EB: Sean isn't involved at this stage, but it may be something to discuss if and when we move to production. 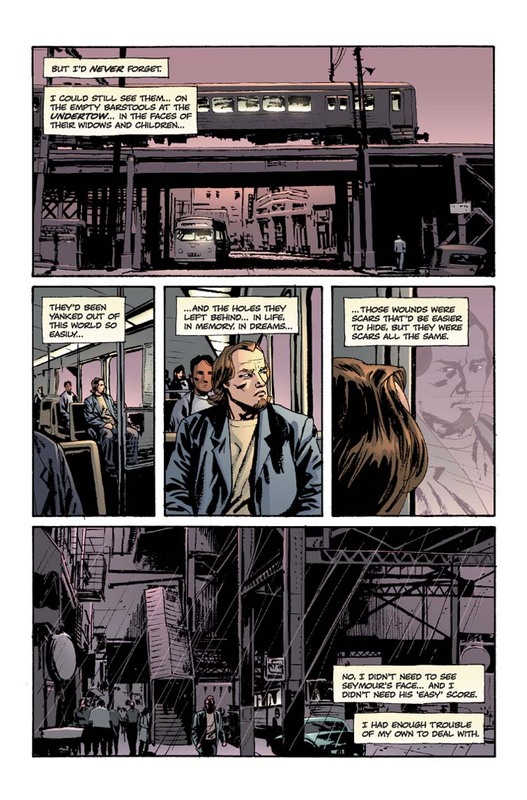 I'd hate to take him away from our comic work, on Fatale, but I do want him to have the excitement of seeing this stuff being brought to life, that he drew. If we actually get this movie made, I'm sure we'll both be on set as much as they let us. Besides being a Hollywood screenwriter and USC filmschool teacher, I'm also a fanboy, and I love Ed and Sean's work. It has all the visual storytelling, complex characterization, and tension-filled plotting that I aspire to as a filmmaker. The adaptation won't be easy, but its one I'm eagerly looking forward to, and the producers made a smart move in hiring Ed to do the script. 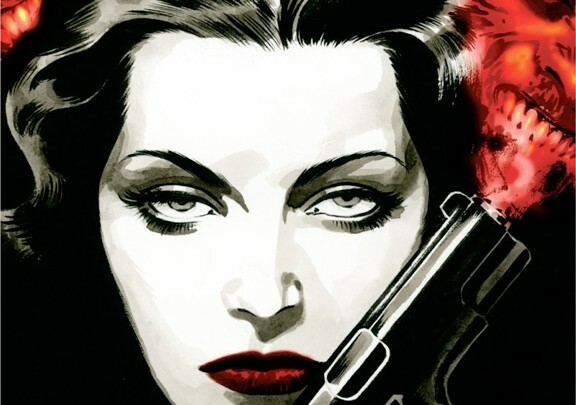 Great interview, and props for recognising the contribution of Sean Phillips to the success of series like Criminal and Fatale. Great, great interview! 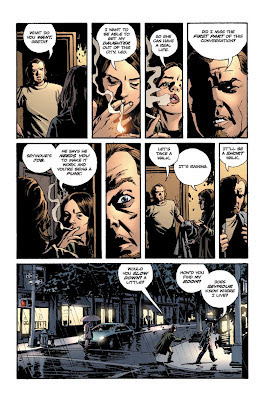 I'm also obviously a huge fan of everything Ed Brubaker writes, and this is a terrific and insightful piece. Thanks so much for this! This is a fantastic interview. I'm always curious about how authors in other mediums approach adapting that work to the screen. I am highly excited that this kind of production is happening. I believe there is a place for solid character driven stories without the obligatory contrivance of a high concept.